Google AdSense is a free, simple way for website publishers of all sizes to earn money by displaying targeted Google ads on their websites. AdSense displays ad on your site according to your content of website so it is known as 'contextual ad network' and considered to be the easiest way to earn money online by displaying targeted ads on your site. 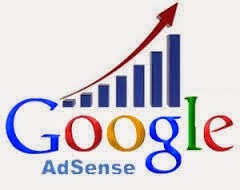 Adsense is most recognized and top rated advertisement program because it is powered by Google. There are many top publishers who only runs "Google AdSense" and makes dollars everyday. 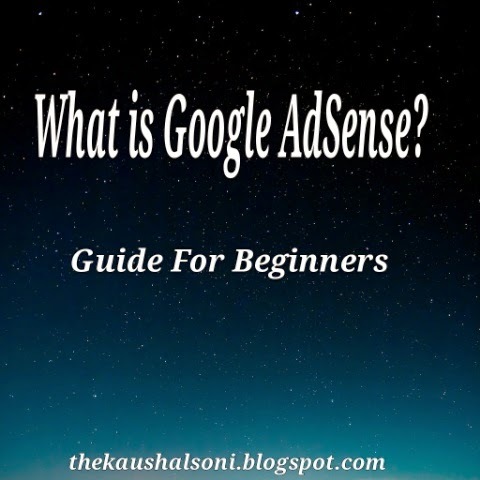 Before getting into more detail I suggest you to watchout this video to get some basic information on "What is Google AdSense?" To earn more with AdSense your placement of ads really matters, you should put your 'ads' in such a way that you get more CTR with a good user experience and avoid clicking on your own ads because they use powerful cookies to get all the details of clicks. I suggest you to read all 'TOS' of Google AdSense before applying for one account because if any of the given guidelines by AdSense is not followed your account will be banned and it will become impossible for you get that back. Now the next question is of 'Payment With Google AdSense', if you have gone through other small advertising companies the main problem you will face is of getting delay in payment and hassles in payments but with AdSense you will never suffer any hassle related to your payments. You will be paid for valid clicks and impression you got on your site. The next reason of on AdSense being the top most rated in competitive web is its user-friendly integration. With Google AdSense you just have to setup small code in your theme and your ads will start running and you will be paid as soon as you receive valid clicks. AdSense allows one account for all websites, despite others you don't have to manually apply for each site. Just once you are approved with your AdSense account you can use that code to integrate in all your websites who doesn't break their TOS. If you ever need any help related to "Google AdSense" you can reach out their forum and your question will be answered and they many explanations on how to grow more money with AdSense in their forum as well as on their youtube channel, you can subscribe to Google AdSense official youtube channel to get latest updates on their live streaming topics. I suggest to apply for AdSense right now if you haven't done it yet, the main reason I suggest you to use AdSense is Google declares officially that you will get higher rankings if you are running Google AdSense Ads on your website/blog which will be double benefit for you, you will get higher rankings as well as making money too. There is no alternative to "Google AdSense" which is better than Adsense you will get a list on saying alternatives to AdSense but you should only go for that lists if you didn't get approval for your AdSense account because there is no doubt on Google AdSense being a top #1 rated advertising program. So what are you waiting for start building your own Google AdSense Empire. Have doubts/queries/suggestions write them in comments section below and do share it on Facebook and Twitter to help out your friends choosing a right ad network for their website/blog.